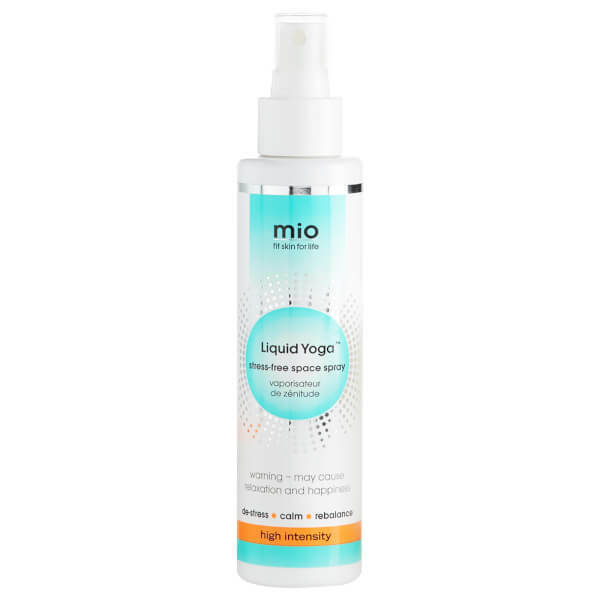 Packed with essential oils to calm, de-stress and rebalance, Liquid Yoga can be spritzed on pulse points, the room around you, pillows or yoga mats, for instant zen. Safety tested. Avoid eyes. For external use only. Drift into your bedroom; spritz your pillow and pulse points with Liquid Yoga Space Spray to experience a peaceful Zen vibe and own your mellow space. Aqua (Water), Propanediol, Parfum (Fragrance)*, Lavandula Hybrida (Lavandin) Oil, Polyglyceryl-4 Laurate/Sebacate, Polyglyceryl-6 Caprylate/Caprate, Mentha Arvensis (Wild Mint) Leaf Oil, Citrus Limon (Lemon) Peel Oil, Cupressus Sempervirens (Cypress) Leaf/Nut/Stem Oil , Citrus Nobilis (Mandarin) Peel Oil, Dehydroacetic Acid, Lavandula Angustifolia (Lavender) Oil, Anthemis Nobilis (Chamomile) Flower Oil, Cistus Ladaniferus (Rockrose) Oil, Benzyl Alcohol, Linalool, Limonene, Citral, Geraniol. Warning - may cause relaxation and happiness. A hypnobirthing course I signed up for recommend this space spray to help create a positive environment to labour in. Whilst the scent is lovely I find that it just doesn’t last. For the price of the spray I find that very disappointing and I don’t honk it offers value for money. I did contact Mio to let them know as other ladies on the hypnobirthing forum were having the same issue. They took the batch number from me but I didn’t hear back so I assume this isn’t just a manufacturing issue. A shame as like I said the scent is lovely :-( I’ve ended up purchasing a rival spray which lasts well. As soon as I step through my front door after work I spray a little bit of this and I'm instantly relaxed! It's my go-to every time I want to chill out and it really works! Love spritzing it on my pillow before I go to sleep too and I helps me drift off. Thank you mio! I find this so relaxing. I spray my room before bed and sleep so well for it. I also bought one for my mum who's a yoga teacher, she sprays the yoga mats before relaxation and the students love it! This spray is amazing, it smells beautiful and just leaves you feeling so relaxed! Living a busy life with 3 kids and full time job, I find this a must when I need to grab 5 minutes of me time. I absolutely love the smell of this and spray it everywhere! Really relaxing and invigorating! I absolutely love this scent - I spray it in my car, bedroom and living room, can't get enough of it! I'm addicted to this smell, it has such a relaxing effect. I already loved the liquid yoga candle, so this is perfect for on the go! I take it in my handbag and spray it in the car as well as at the office. I use this stuff all the time! Especially in the office as it smells incredible. I have one on my desk at home and one on my desk at work. Wouldn't be without it. Love this smell! I use it at the office, on my yoga mat and it always reminds me of chilling out before bed. Perfect de-stresser, thanks mio! I love this spray! Smells amazing, relaxes me if I'm feeling tense and great as a room spray. Also great when meditating. I HAD to buy this after being bought the Liquid Yoga bath soak for Christmas, and have been stocking up on this and the soak every since. My favourite thing is spraying this on a soft blanket and having a good snuggle up to it. Also when I change my bed I give my whole room a spray - it makes me feel like its a whole new environment! Would definitely recommend. Love love love. 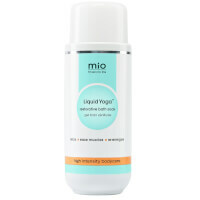 Smells beautiful , amazing as a room fragrance spray with added benefits akin to relaxation at the end of a yoga class! Forget yoga in a bottle this is yoga, followed by meditation and a massage in a spa in a bottle. 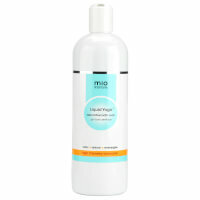 I love this spray with it's calming scent that totally clears my head and resets me whenever I spray it. I'm obsessed- I have one in the car, at work, at home- it really works! What a life saver... Great for kids and pets too- seems to calm the whole household! I have trouble sleeping and I have just tried this - all I can say is it smells amasing and I had the best nights sleep in a long time - as someone whose mind can some times take time to calm down, it is perfect.